Dilip Shanghvi, chairman and managing director (CMD) of Sun Pharmaceuticals is supposed to meet Securities and Exchange Board of India (SEBI) chairman Ajay Tyagi this afternoon. 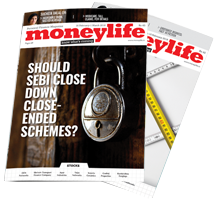 Moneylife learns that Mr Shangvi is likely to assert that all the information contained in the two complaints filed by a whistleblower submitted to SEBI, are old information that is pertaining to a period of 10-15 years ago, and have no relevance today. We gather that the Sun Pharma CMD is likely to point out that the complaints have been instigated by business rivals. Separately, Sun Pharma has said that SEBI has indeed asked the company replied to two queries asked by the market regulator, but the company is not in a position to comment whether these queries were related to the whistleblower complaints. This information pertains to only one group company, viz., Suraksha Realty. According to the whistleblower, Sun Pharma’s promoter Dilip Shanghvi and his brother-in-law Sudhir Valia control over 250 companies and hundreds of bank accounts. None of this information is old. It is all current information. The whistleblower has attached 50 pages of statements of Suraksha Realty’s ICICI Bank account and 20 pages of its Yes Bank account covering 2014-17, to prove his point. It may be recalled that in the conference call held in early December also, Sun Pharma had tried to characterise the swirling questions about its governance as more than a decade old. The fact is that the relationship with AML is current. AML gets all its money from distributing the products of the publicly-listed Sun Pharma. Sun Pharma’s promoters have always controlled AML; but chose to declare it as a related party only in 2018. In effect, a huge amount of money generated from the publicly-listed Sun Pharma is going in and out of the personal unlisted companies of Sun Pharma’s promoters, through a distributor controlled by them privately. 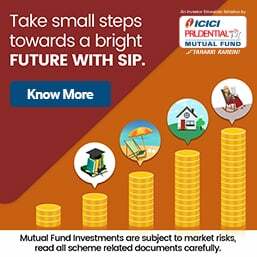 With rating agency CRISIL cutting the creditworthiness of two special purpose vehicles (SPV) of IL&FS citing "heightened risk" of defaults and as the company management takes a new stance on repayments, the multiplicity of a dubious web of SPVs within the entity has once again spooked the markets. As such the IL&FS secret society remains a ticking time bomb. A concerned government is trying its best to remain on top of things and is in constant touch with the Uday Kotak-led team. CRISIL has downgraded its rating on the non-convertible debentures (NCDs) of Jharkhand Road Projects Implementation Company Ltd (JRPICL) to BB(SO) from 'CRISIL AA(SO), a drop of about nine notches. Ditto, it has has downgraded its rating on such instruments sold by North Karnataka Expressway Ltd (NKEL). The Group has a catalogue of as many as 162 SPVs within the country and contagion is likely to spread rapidly as the scope and size of rating watch is enlarged. What is even more serious is that there is another lot of steroid-pumped foreign companies for which the Corporate Identification Number (CIN) cannot be found just as the level of evasion on the part of the erstwhile management. As many as 186 such overseas firms have virtually no records whatsoever. The phalanx of SPVs within the Group and the impending ratings downgrade has sent shockwaves in the markets, since banks, financial institutions, NBFCs, realty and other road concessionaire companies could be imperilled with the widening of this exercise. IL&FS' business model was predicated on creating SPVs to conduct business and the majority of such entities are in a financial disarray. In Maharashtra alone, IL&FS Group has 88 such SPVs like Khambhat Port Ltd, Charminar Robopark Ltd, East Hyderabad Expressway, etc. The maze of such SPVs which the new Uday Kotak-led board is still probing and understanding could well be the entity's bugbear. Domestically, there were these SPVS while overseas there were subsidiaries -- direct and indirect across the world. On both fronts, the new management is trying to get a handle on things. In Chhattisgarh, there is one SPV -- Chhattisgarh Highway Development Co, in Delhi, there are 20 including the Noida Toll Brdige Company, in Tamil Nadu, there are 11, in Jharkhand, there are six, and Bihar has two. India is well represented. So in Gujarat, there are an additional seven, West Bengal has five, Karnataka two, Odisha one, Rajasthan three, Telangana five, Haryana five, Andhra two, Uttar Pradesh one, Assam two, Tripura one, Nagaland one and Uttarakhand one. Can ML find MF investments in the above-mentioned security please? There may still be scope for some marginal rate corrections in certain depressed markets - but as we often say in the industry, timing the market is a game only investors should play. There are no guarantees for when, where and even if, corrections will occur. Certainly, a whole country's real estate market does not witness synchronized corrections like it does on the stock market, where everyone is affected simultaneously and to the same extent. For genuine homebuyers who recognize a good thing when they see it and can call it good enough, it has certainly never been a better time. The RTM Advantage - The current preference for ready-to-move (RTM) options is understandable. Despite many customer-favouring court rulings on this front, the unwholesome aura of delayed, stalled and even shelved projects which had beset many cities markets continues. In fact, the recent and ongoing non-banking finance companies (NBFC) crisis has made the situation even worse. The brand value of the developer will also determine future appreciation potential, especially in under-construction projects. Stronger developers with better capitalisation have superior execution capabilities, are less likely to cut corners on construction materials, and won’t deviate from the committed specifications. Nevertheless, many buyers tend to ignore the fine print of a seemingly attractive but inherently booby-trapped payment scheme. Ignorance in the face of information availability is not a legal recourse. If a buyer did not read the fine print, nor asked the right questions, a developer can technically not be held accountable. He becomes legally liable if there is no fine print available at all, but not if it exists and the buyer ignored it. Here, the guidance of a property consultant can be invaluable.